The Asian Network for Free Elections (ANFREL) launched on October 29 its international election observation mission to the Republic of the Union of Myanmar’s by-elections, which will be held on November 3. The delegation aims to engage with electoral stakeholders – political parties, civil society organizations, election management bodies, media, and voters – to carefully follow the development of democratization in Myanmar and present recommendations to assist reforms. 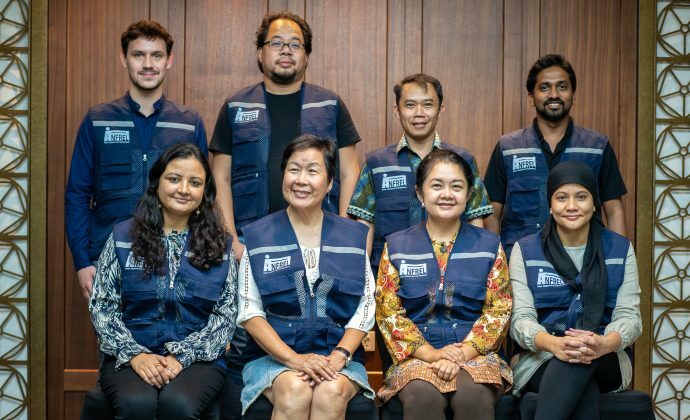 The ANFREL Mission is composed of nine short-term election observers and two election analysts hailing from its network of election monitors in Asia and beyond. ANFREL spokesperson Mr. Damaso G. Magbual from the Philippines is the Head of Mission. Observers will be deployed throughout all thirteen constituencies where by-elections are scheduled, to monitor the electoral campaign occurring until November 1, advance voting taking place until November 2 and polling operations on election day itself. Around 900,000 voters are eligible to cast a ballot on November 3, in 1,383 polling stations located in nine of Myanmar’s states and regions, to fill thirteen vacant seats in the country’s parliaments. These vacancies include four seats in the Pyithu Hluttaw (House of Representatives or Lower House of the National Parliament), one seat in the Amyotha Hluttaw (House of Nationalities or Upper House) and eight seats in the state or regional parliaments of Chin, Sagaing, Bago, Magway, Mandalay, Rakhine, and Yangon. The 2018 by-elections will be the second to take place since the historic general election of November 2015, after those that were held in April 2017. ANFREL was present in the country both times and its overall assessment of the 2017 by-elections showed marked advances in the preparedness of electoral management bodies and polling staff. The upcoming by-elections will be the last before the highly anticipated general election of 2020 and will be instrumental in tracking the progress, or lack thereof, made by the Union Election Commission in attaining international standards for free and fair elections. The mission will base its assessment from internationally recognized suffrage and human rights norms including the International Covenant on Civil and Political Rights (ICCPR), as well as regional instruments such as the Bangkok Declaration on Free and Fair Elections and the Dili Indicators of Democratic Elections. An interim report presenting ANFREL’s preliminary assessment of the conduct of the by-elections will be released on November 5. The final report for the international election observation mission will be made public two months after the election. ANFREL wishes the people of Myanmar and the Union Election Commission a peaceful campaign and successful by-elections on November 3. Formed in November 1997, ANFREL established itself as the preeminent NGO in Asia working on elections. Based in Bangkok, Thailand, its main focus is in observing pre- and post-electoral processes and developing and training civil society groups that are actively working towards democratization in their home countries. Since its formation, ANFREL observers, hailing from a network of 25 civil society organizations in 60 countries, have covered nearly 60 elections in 17 countries across Asia.